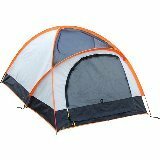 A True Expedition quality two person, 4 season backpack tent. This is, possibly, the best tent under $350. Heavy-duty aluminum poles can support a substantial snow load, and this has been tested in sustained winds of 60MPH. Large vestibule to keep your gear dry. If you have any questions about this product by High Peak Outdoors, contact us by completing and submitting the form below. If you are looking for a specif part number, please include it with your message.